Are you feeling bored or unfulfilled at your day job? Doing the same thing for too long can grate on even the most patient person. This is precisely why so many people opt in to extra work at the end of the day—also known as a side project. But a side project can do so much more than simply cure boredom. Executed well, it can help you to become a better software developer and can also help you to tae control of your career path. It may be eye-opening to realize that successful companies like Twitter, Twitch, and GitHub first started as side projects before launching as full-scale enterprises. Once you start taking on side projects in addition to your 9-5, it’s important to be consistently seeking out new options as your existing projects come to their natural end. The reason? A side project’s ability to keep you fresh and enhance your existing software development expertise. The more proactively you scout opportunities, the more consistency you will create. A side project of your choice provides an opportunity to improve existing skills while picking up a few new ones. If you’re feeling a bit stagnant on the learning front at your full-time job, this can be a great way to still realize fulfillment in what you do. Or, if your job has become really intolerable, the learning you’ll do with a side project can be your ticket out of there, to something better. Furthermore, a 1983 study in Personality and Social Psychology Bulletin demonstrated that people who make commitments tend to be consistent in following through with them—it’s a self-fulfilling prophecy. Gone are the days when “moonlighting” could get you in trouble with your boss—at least at most modern companies. Instead, most businesses realize the value of their workers staying fresh and trying new things outside of the office. In fact, some companies actually encourage the exploration of side projects within the office. You may be familiar with Google’s 20% rule, which gives employees permission to spend 20% of their time working on something outside of their core focus. Mashable reports on how this focus has resulted in some of Google’s most innovative and popular features, including Gmail, Google Maps, and AdSense. According to Mashable, the 20% rule allows reasonable employees to defy unreasonable managers and helps to balance the power, engaging employees during otherwise challenging times. 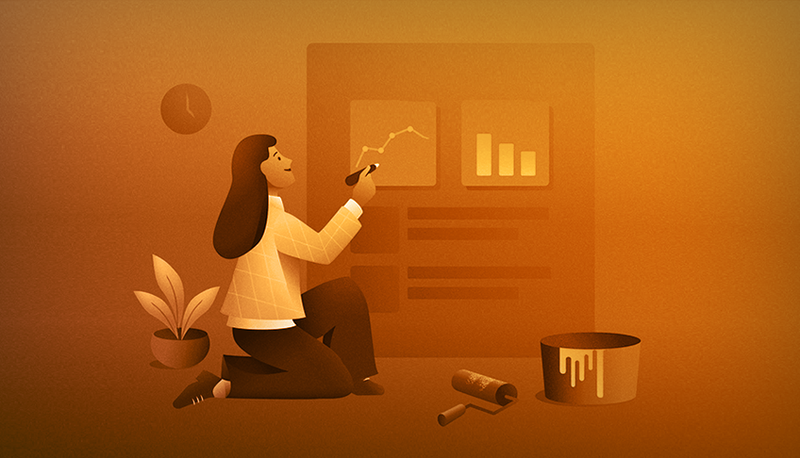 Those who take on side projects tend to be scrappy individuals: not afraid to get their hands dirty learning new skills and trying to fix a problem from every angle until they finally land on the right one. People that take on side projects also tend to be more creative than those they’d otherwise consider as peers—willing to buck the trend of only working for someone else. A study in the Journal of Occupational and Organizational Psychology found that devoting time to a creative hobby outside of work resulted in a better sense of control and mastery that resulted in better job performance. On that note, a willingness to explore side projects also says a lot about that person’s work ethic. While most people are content to leave work and head straight to the couch for some much-needed mindlessness, those that push themselves after a hard day at their full-time job demonstrate drive and passion that simply cannot be taught. Being the boss of your own projects involves great power and responsibility (thanks Uncle Ben). It sounds like a lot of fun but you’ll quickly discover just how hard it can be—especially if this is the first time you’ve ever taken charge of a project, from start to finish. You’ll learn how to handle things very quickly when it’s your reputation on the line and you’re directly responsible for getting things done. Of course, it’s worth mentioning that not all side projects involve clients—you may be building something for yourself. You may be building something for fun or something that you intend to sell one day. In any case, your side project will never see a date of completion unless you diligently work with milestones in mind—even if they’re somewhat arbitrary. In this case, the whole point of setting goals and due dates is to make sure that your side project results in something tangible that you can be proud of. While you’re thinking about goals, consider your answer to this question, “What does ‘finished’ really look like?”. Getting most of the way there isn’t quite the same as being completely done with something that you can ship to the client. Get real with yourself now, before getting in above your head. Alongside due dates, you’ll also need to be thinking about when you’re actually going to get this work done. Take a hard look at your schedule and existing commitments. What dates and times can you commit to your side project each week? Do you need to trim anything else from your schedule to make this work? Now is the time for the hard questions—not halfway into your attempt at making this side hustle thing work. So before you write a single line of code, take the time to list out the necessary steps for completion and set tentative due dates to which you’ll be holding yourself accountable. It’s not so important that you meet them so long as you acknowledge them. Besides setting goals and deadlines, you also need to be thinking about your system for organization. Do you have a favorite project management tool of choice? Perhaps something like what your team uses at work? Honestly, it can be as simple as a basic to do list app. Don’t overthink it if you’re just getting started—you can always refine your system as you go. How much of your allotted time did you actually spend on your side project? Where and when are you losing productivity? Being able to definitively answer these questions will help you to find success with your side projects in the long-term. Thanks to integrations with Microsoft Team Foundation Server and Visual Studio Team Server, 7pace may be your perfect tool for measuring productivity as it relates to time spent on your side project. Let’s be realistic: if you’re not excited about your side project, you’re not going to work on it after your 9-5 job. While brainstorming potential side project ideas, rank those that make you most excited at the top of your list. Of course, you must temper yourself to not let that excitement get in the way of your full-time job (or chip away at it while you’re at work). If you’re struggling to come up with an idea, consider problems or timesucks that you experience in your daily life or job. Is there a program that you could create to make your life easier? Is there a new coding framework that you want to become more proficient in? Use these motivations to drive your enthusiasm. CrazyEgg reports that these side projects (including Unsplash, Pablo by Buffer, and Moz’s Open Site Explorer) started from a place of passion but ended up becoming ridiculously effective marketing engines for the companies behind them. Multiple studies found that workplace accountability is positively correlated with everything from better performance to higher satisfaction: with implications for taking on extra roles and responsibilities. Using project management tools will help you create accountability with yourself—if you’re affected by notifications about impending due dates. To create true accountability, you’ll need to enlist a little help. As soon as you know that you want to take on a side project, make sure to tell other people about it. Tell coworkers, your significant other, even your parents. As soon as it stops being an idea (existing only in your mind) and becomes a reality (by involving other people), you’ll be surprised by how much harder it will be to fail. After all, months later, you don’t want to be telling your friends and family how little you ended up accomplishing. You’ll create a new motivation by letting people know what you’re up to—the motivation to succeed. Since you’re already sharing the good news, sign up your accountability buddies as your first beta testers for your side project. They’ll be able to help you suss out any major issues before turning it into a client or releasing it to a mass market. An important step of any good software project involves seeking user feedback to find areas for improvement that may be invisible to someone who’s too involved (i.e. you). When you’re working on a team, it’s easy to shift the blame for negative feedback to your coworkers or boss. But when you’re working for yourself, it’s easy to take this feedback harder than you really should. Remember that famous Henry Ford quote, “If I had asked people what they wanted, they would have said faster horses”? The same can be said about software development. While user feedback can help you uncover obvious issues in need of fixing, it can also result in super opinionated ideas that may not be consistent with the project you’re trying to build. 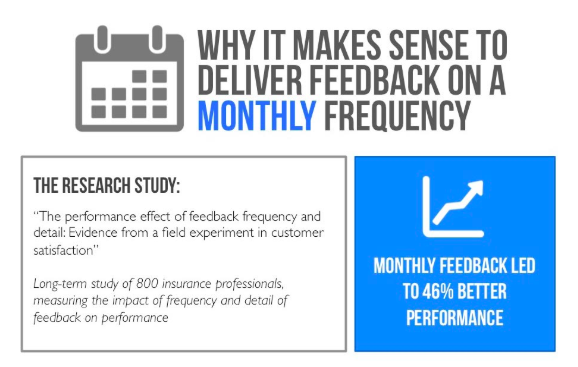 A study of insurance professionals found that detailed monthly feedback led to better performance, while weekly feedback hampered people’s ability to learn and improve. The lesson here? It’s okay to take feedback with a grain of salt. And feedback isn’t personal, so don’t take it that way. Finally, infrequent feedback is likely going to be more beneficial to you than seeking regular project inputs. Perhaps the greatest thing about the internet is its ability to connect people. It also provides people with an outlet for sharing their stories. Sharing stories begets learning, so taking the time to document your side project may inspire someone else to likewise start their own side hustle. Furthermore, sharing progress makes you more likely to find success, according to a study shared in Translational Behavioral Medicine. According to the study, people sharing their weight loss progress ended up losing more weight than those who kept results to themselves. Since side projects tend to be based on personal passions, the same can be extrapolated in this case. But your sharing need not be limited to an online medium. If there are local meetup groups for software developers, consider sharing your story there, as well. Besides providing you with the opportunity to share something you’re passionate about, you’re also creating an opportunity to recruit beta testers. Another potential side benefit? Showing off your skills to people who can help you advance your career. You never know what amazing connection you might meet at one of these events—perhaps even your future boss. You can talk all day about how excited you are about your new side project but it doesn’t become a reality until you actually do something to get started. Small, gradual steps are better than planning big moves that never lead to anything. Find contentment in slowly but consistently working toward your end goal. On a similar note, realize that a successful side project is a long-term commitment. So learn to love the journey—satisfaction doesn’t happen overnight. But excitement and passion can be realized on day one. Harness that power to get you through the rough patches. And realize that you’ll learn the most when working through issues that at first seem insurmountable. Trust in yourself—you’ve got this.